New Delhi: Former President APJ Abdul Kalam on March 31 called on students to find their unique personalities. “I have met 11 million youth over the decade, and each of them wants to be unique. 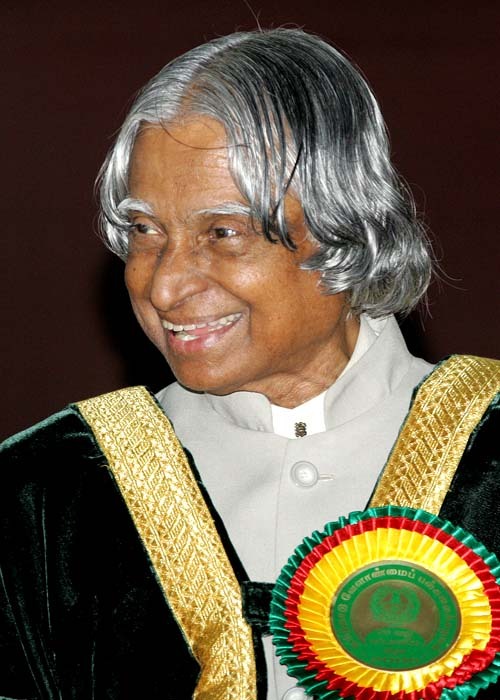 The challenge is to fight hard, and perhaps the toughest battle, until you find and reach the unique place,” said Kalam, addressing the students of Brindavan College on the institution’s 17th graduation day. Urging colleges to adopt a multi-disciplinary approach and combine information technology, biotechnology, nanotechnology and eco-tech, he said all colleges should make an effort to bring together, system design, integration and management, which should be part of a students’ learning. Talking to the students on charting the pathway of life, he listed out the four key points to succeed, citing instances from his own life. “Before you reach 25 years of age, you should know that unique aspect in you and where you are heading. Behind every successful career is an unflinching aim that is set early in the life,” he said. Citing an example from his life, he said that his class five teacher, who took the entire class to explain how exactly a bird flies, was the one who gave a direction to his life. “After that, when the same teacher advised me to take up physics after my class 10, it was he who gave me an aim in life,” he said. It is important to continuously acquire knowledge, which is responsible for propelling a person, and along with it is the need for dedicated effort and hard work. “You have to learn to defeat problems, and not let the problem to be the captain,” he said. “We were asked to design a low-level attack aircraft, and five months later the professor after evaluating it said it was no good. In fact at that point, I was told that my scholarship would be terminated. Though we all lost sleep, food and worked round the clock, we mastered it,” he said, adding that while scaling deep heights, difficulties are bound to be part of them. He narrated the instance when he was the mission director of DRDO in 1979, and the first flight of SLV-3 fell into the Bay of Bengal, the chief of the organisation took the responsibility of re-launching it in a year and it was successful. “As important as anything else, one must learn to manage failure,” he said. During a short interaction with the students, Kalam responded to a question on women empowerment, that more the number of women empowered, the more the society gets empowered. “The girls should work towards getting 30 percent representation in the Parliament. And I am with you in it,” he said.